NOAA Ship PISCES during launch ceremony at VT Halter Marine, Inc., shipyard. 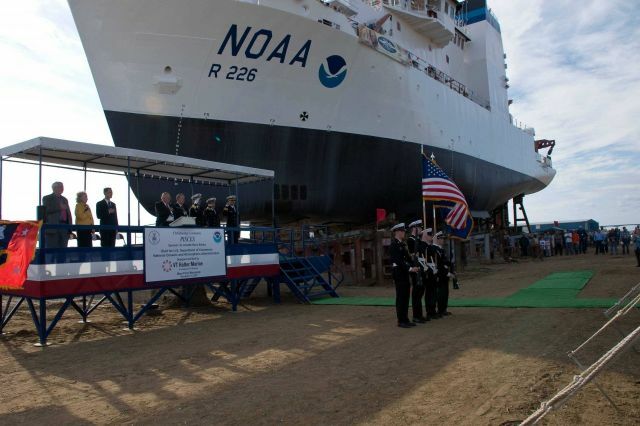 NOAA Administrator Conrad Lautenbacher is standing to left of speaker stand and NOAA National Marine Fisheries Service Deputy Assistant Administrator John Oliver stands on far left of platform. Ship’s sponsor Dr. Annette Shelby stands between them.